I honestly don’t know where this week has gone! How lovely have the last few days been, if this is Autumn then I am loving it. My lovely co-host Katy wrote a post all about conker hunting this week and it has definitely got me in the mood for Autumn. One of the best things you can do as a blogger, is give something back to your fellow bloggers. There are lots of ways you can do this and one of them is to write a post to let everyone know what some of your favourite blogs are to read. This is where the idea for our linky came from, it was a chance for Katy and I to give something back to our fellow bloggers. I love discovering new blogs to read and when I read this post of Fran’s favourite blogs, Five of The Best: Blogs, I was delighted to see two new blogs for me to discover. If you are looking for new blogs to read, head over and take a look. This post, The Centre of His World, is just beautiful. The way that Jaki writes about the intensity of motherhood, it really can be intense at times. The way that our little ones need us at different moments, and those moments might not be a great time for us. But, we still drop everything for them. That moment when its a relief to put them to bed, but then the minute you collapse on the sofa you miss them or feel guilty for having some quiet time. Motherhood is definitely not what I expected, but I wouldn’t change it for the world. I always admire people that write from the heart and get all those feelings out there for everyone to read. These posts tend to be the most personal ones and take a lot of courage to write. Hayley’s post, A Open letter to my High School Bully, is incredibly moving and I wanted to reach in and give her a hug. But what was really encouraging was how much writing this letter has helped Hayley move forward and that is the power writing can have. I am loving seeing all these Autumn posts and getting some great ideas too. This post, Apple Picking, is just a perfect day out. We’ve done fruit picking before in the summer, but I had never thought about going apple picking before. It’s a great way to introduce children to understand where food comes from and it can also encourage them to try fruit too. I love an apple crumble and having read this post I have been researching our nearest place to go apple picking! So pleased you enjoyed the conker post! I loved all of these, the apple picking one got me feeling nice and autumnal too! Yum, apple picking. We’re lucky to have 2 cooking apple trees and 1 eating apple, so I’m always doing apple based desserts through autumn. I love this link and the variety of posts out there. 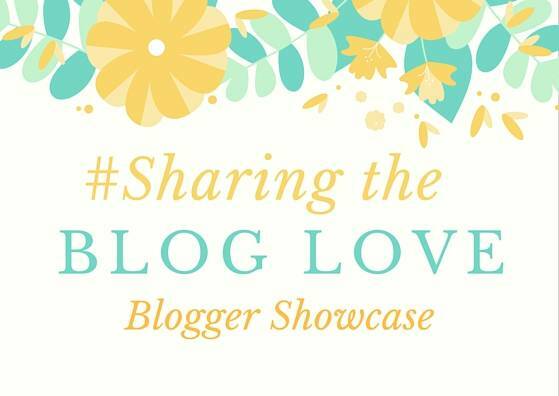 I thought I was the only one who loved Autumn and #sharingthebloglove has made me realise I’m not the only one!